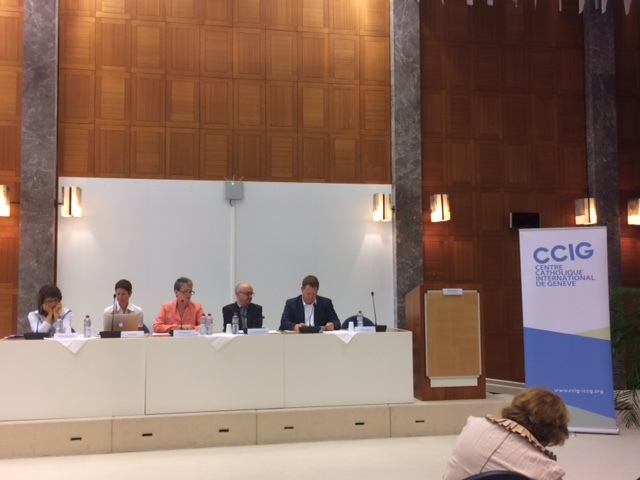 GENEVA – On Wednesday, June 7th, a workshop was held in conjunction with the 106th session of the International Labour Conference, entitled “Labour Inspection as an Instrument to Protect Workers in Informal E conomy: Challenges, Opportunities and Responsibilities”. The event was jointly organized by the International Catholic Centre of Geneva (CCIG), Kolping International/the German Commission for Justice and Peace (KI, GCJP), the International Coordination of Young Christians Workers (ICYCW), International Young Christian Workers (IYCW), the World Movement of Christian Workers (WMCW), Caritas Internationalis (CI), and the International Catholic Migration Commission (ICMC), with the collaboration of the Migrant Forum in Asia (MFA). 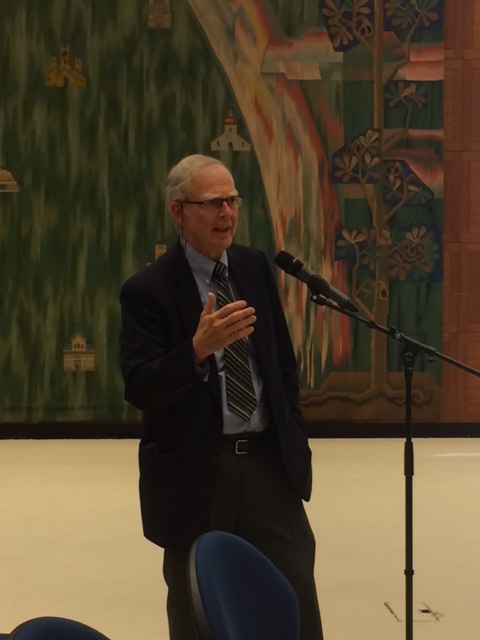 Furthermore, the event was made possible with the support of the World Council of Churches (WCC), who hosted the event in their Geneva headquarters. Welcoming distinguished panelists from NGOs working in the field and in Geneva as well as an ILO expert on the topic, the event provided the opportunity for participants to share the challenges and best practices of labour inspection, highlighting its potential as a mechanism to protect the world’s most vulnerable workers: those working in the informal economy. When effectively administered at the national level and regional levels, labour inspection can help provide protections and improve the often precarious and even hazardous working conditions of workers in the in the informal economy. Labour administrations and their inspectors should serve the dual role of counseling employers and workers about international labour standards on wages, working time, and acceptable working ages amongst others, while also uncovering faults in the system to be reported to national authorities. After a warm welcome from Ms. Isabel Apawo Phiri (WCC) and opening remarks by CCIG Secretary General Maria D’Onofrio, Ms. Jasmine Lidasan (MFA) took the floor to deliver an introduction to the workshop, focusing in particular on the challenges migrant workers face in regards to labour rights and working conditions. Ms. Sarah Prenger (IYCW), introduced the speakers on the panel and went on to serve as moderator. Panelists, Ms. Prossy Nambatya (Joint Action Commission on Decent Work in Uganda), Mr. Berhanu Sinamo (ICYCW), and Ms. Apinya Tajit (Caritas Thailand) offere d testimonies of the challenges of labour inspection based on their experience working in NGOs in Africa, Latin America, and Southeast Asia, respectively. Later in the morning, Mr. Markus Demele (KI), delivered a presentation on a recent publication by trade unions and Catholic organizations in Germany: “Labour inspection in a globalised world”. Following the presentation, the second panel convened, this time moderated by Ms. Hildegard Hagemann (CCJP). Mr. Arsenio Fernandez Rodriguez (ILO), Ms. Martine Combemale (Human Resources without Borders), Ms. Nicola Piper (Sydney Asia Pacific Center) and Mr. Markus Demele himself, serving as panelists, took part in a reflection on the position paper, eventually opening up the discussion to members of the audience. The workshop concluded with moving closing remarks by Ms. Marilea Damasio (World Movement of Christian Workers). 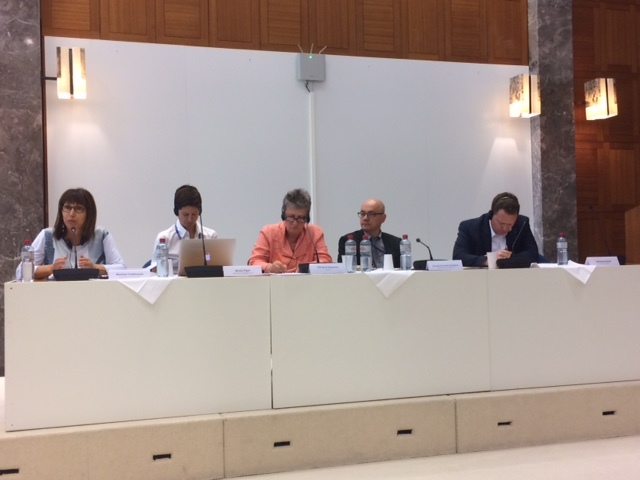 Collectively, the speakers called for an increase in education of vulnerable populations on labour rights as well as training on the subject for labour violation defenders, closer cooperation between the private and public sector, stronger enforcement at regional, national levels of existing labour legislation, and indicators for effective implementation of labour inspection. To read the full report on the workshop, including links to panelists’ presentation, click here ! 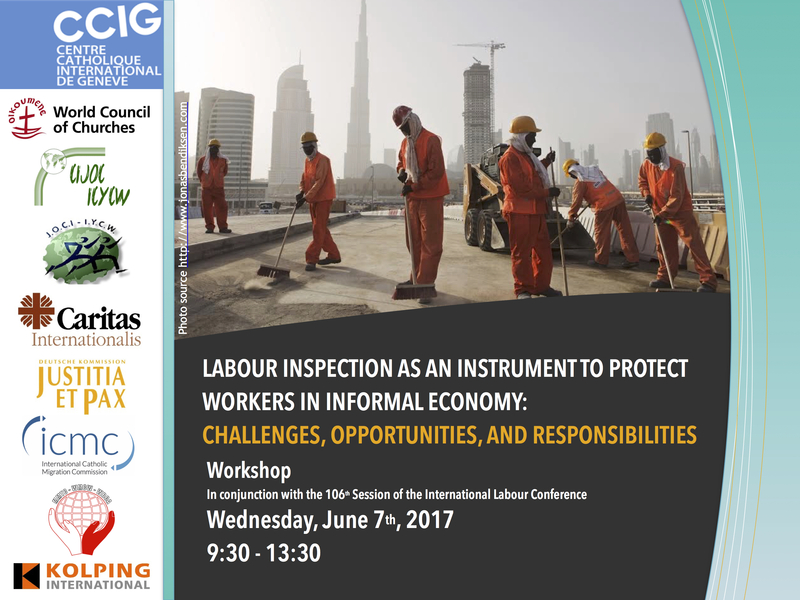 No Comments to "CCIG Workshop: A Case for Labour Inspection in Improving Labour Conditions in the Informal Economy"